I didn’t intend to include the spots in my inked image, but rather planned on adding them with paint, which is why I didn’t complete the coat pattern in my sketch. I will admit to being nervous about the coloring process for this image because it is a more complex image than I’ve colored before. 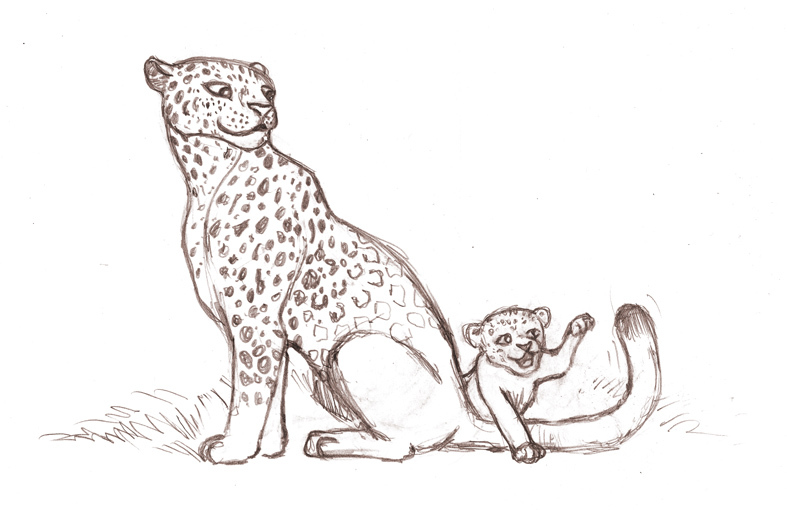 I started with the yellow-orange over both the leopardess and cub, then added the spots with a dark brown, and finished by adding shadows with a sort of blue-gray over top of both to sort of unite them. I was so relieved when I was done! I darkened some of the spots in Photoshop, but otherwise I was pleased with the result, and will be more confident about doing coloring like this in the future. Thanks for reading! 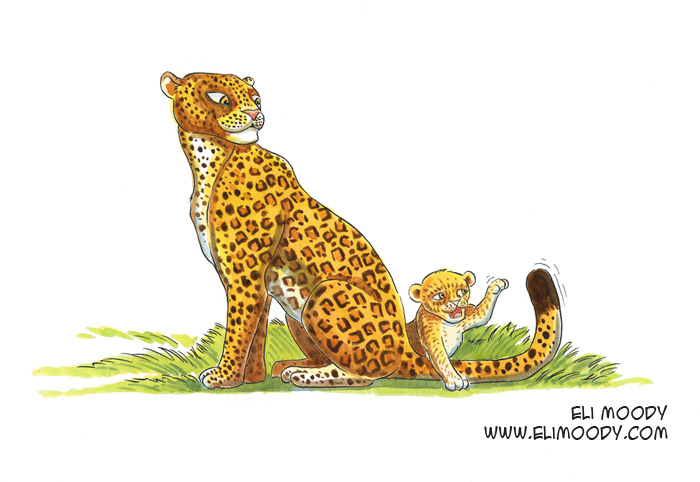 This entry was posted in illustration and tagged animals, cub, eli moody, illustration, leopard, leopardess, mother, pen and ink, pencils, watercolor. Bookmark the permalink.